Hire the top 3% of freelance pricing consultants. 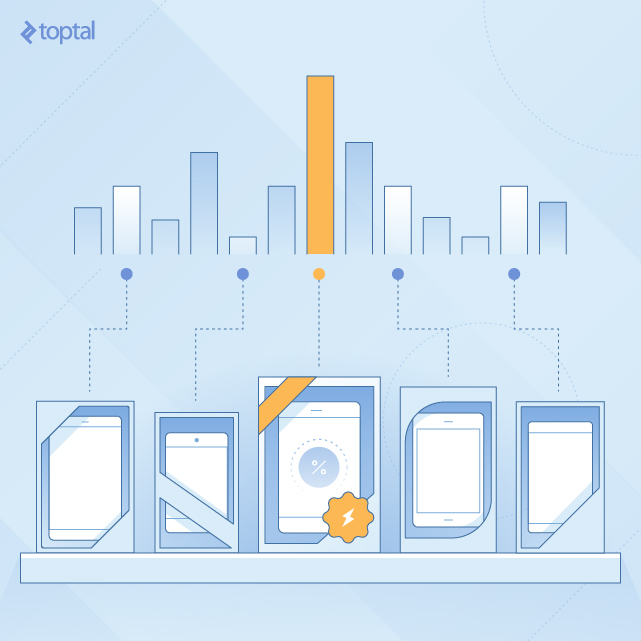 Toptal is a marketplace for top pricing consultants, experts, and specialists. 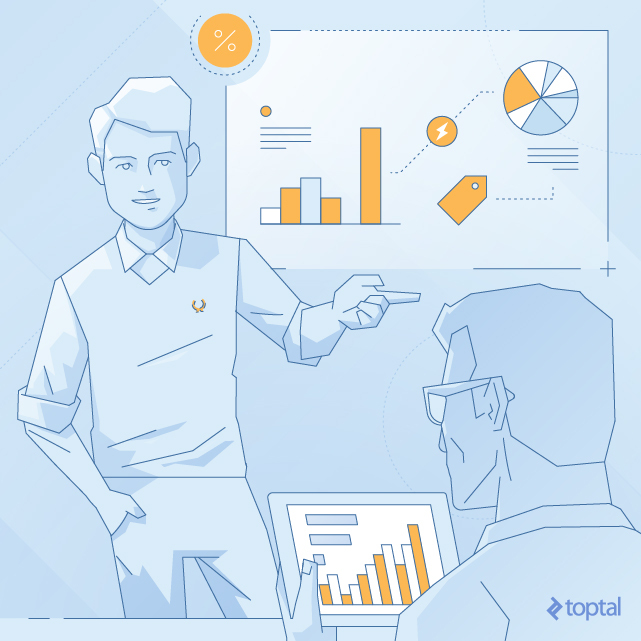 Top companies and start-ups hire pricing analysis freelancers from Toptal for their mission critical projects. Pricing is the subtlest of financial decisions. In a world where online options have empowered customers more than ever, companies wrestle with how a slight rise or drop could translate into real growth or devastating losses. Hiring pricing consultants with the right understanding of your company, your product, and your customers can make all the difference. Here's how to find them. 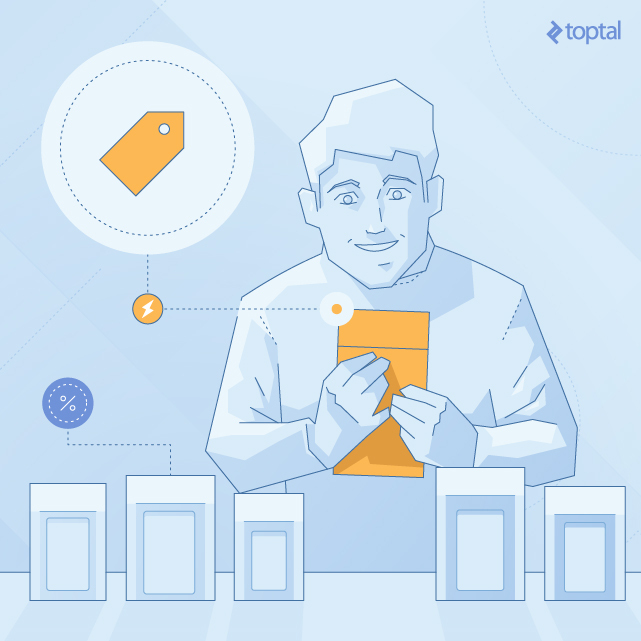 Toptal is a marketplace for top pricing consultants. Top companies and start-ups choose Toptal finance experts for their mission-critical finance projects. James is a seasoned finance professional with broad experience in pricing and strategic analysis, FP&A, investment banking, and investment management. He leads AT&T's Mobility & Entertainment Group's pricing and forecasting efforts. Previously, he built a robust, complex financial model for a $100+ million global capital project at Capital Group. He joined the Toptal network to work on challenging projects with talented people. Philip is an experienced financial consultant with keen quantitative and analytical skills. At BellSouth Peru, he developed the first strategic plan with scorecard indicators and implemented the first instance of competitive fixed telephony. At The News Group, he set up a deal governance process, bringing together the sales and finance organizations to present and approve profitable deals while the company doubled in sales to $1 billion. Richard has led pricing initiatives that have resulted in over $30 million in EBITDA uplift. He has worked for companies such as GE Healthcare and Philips Healthcare in various cross-functional leadership roles including budgeting, forecasting, discounted cash flow analysis, and new product introductions. As a freelancer, he enjoys projects in pricing, reporting, and FP&A with a wide range of clients and industries. Sergio works primarily for portfolio companies of private equity firms. He is a former Bain & Company consultant and enjoys freelancing since the exit of his last startup. He holds a MBA from Kellogg at Northwestern University with majors in strategy, finance, analytical consulting, decision sciences, and marketing. Sergio is fluent in English, Spanish, and Portuguese and has worked on projects in various industries and geographies. Setting the right price for a new product and service has become increasingly challenging. Customers have ever more resources at their disposal to compare prices online, such as search tools, price comparison sites, specialized apps, and social networks. But even businesses that have carefully weighed up each variable and set a seemingly fair price are at risk. Being second-guessed by customers, whether rightly or wrongly, can be absolutely devastating for the success of a business. That is why having the right pricing expert on board is a must. Getting pricing right is one of the trickiest decisions a company can make; done right, it can have an immediate positive impact on the bottom line and share performance. This makes finding the right pricing expert all the more crucial. This guide will help you sort out the wheat from the chaff, setting up scenarios to help test candidates’ strategic thinking, depth of expertise and pricing innovation ability. Pricing touches every department in a company – finance, marketing, product, sales, and even customer support. The right hire understands that, but also grasps that pricing decisions impact customers and the competition. To get to the optimal pricing for a company’s product, a pricing analyst must take into consideration its effects on the company’s financials, strategy, customers, partners, investors and competition, and vice versa. To do so, they must have the ability to explain their decisions’ consequences on all stakeholders, both internal and external. To show that they understand these diverse perspectives, candidates should be able to address queries on their pricing choices from across the company: - CFO - How will a new pricing structure impact the company’s revenue, margins and key financial ratios? - Business development - How will new pricing structure affect revenues of competitors and what pricing programs are they likely to respond with? - Investors - How will a pricing change affect share prices? - Sales - What will be the impact on sale totals, sales channels, and commissions for sales teams? - Marketing - How does the pricing shift impact messaging to different customer segments? - Clients - How is the price shift justified and what benefits do they get? Here are four key attributes that will help identify top pricing experts complex to keep all these different perspectives in mind the right breadth of vision and the skills to turn that into practice. To understand the perspective and concern of each stakeholder, a candidate must perceive each complexity within a company, in order to assign a number to the totality of its product or service offering. The right candidate must assess how this number will impact revenue, cash flow, profit margins, ROIC, units sold, and ultimately market share. We’re not saying they need to complete a Sudoku puzzle in under 30 seconds, but demonstrating that puzzle-solving ability is crucial. A good pricing expert will be able to develop a demand model that measures the change in demand in response to changes in price and other factors (eg: time of year). A proficiency in the use of statistical tools, such as SAS or IBM SPSS, is useful as these can be used to build multivariable regression models to measure the effect of price on demand. However, the data needed for a pricing model or analysis may not be readily available. A good pricing expert cannot be content with the numbers provided, they must also be relentless in relentless in hunting down the data needed to feed their pricing model. Q: Company A has invested $5M in the last two years to develop a new product to be launched in six months. The market is dominated by incumbents whose products have been in the market for five years. This company’s product possesses a more effective approach to solving the customer’s problem and a superior user interface. However, management’s goal is not market share maximization but to maximize the value of this new business. How would you go about setting go-to-market pricing for this new product? What pricing approach is most suited for this pricing given product offering, market dynamics and management’s goals? Cost-based, competitor-based, value-based, or a mix? What are the product’s ongoing engineering, infrastructure and support costs? What are the anticipated customer acquisition costs? What is the anticipated customer churn? What are the company’s targets on ROI, breakeven period and margins? What are the competitors’ product offering and pricing? Does the competition possess any cost advantage or disadvantage? What is the business case for the customers? What do they value in the product? How have they responded to past pricing changes from the competition? How much product differentiation does the company have versus the competition? How much premium can the company charge for unique feature X? How much brand power does the firm or the competition have? What is the switching cost incurred by a customer moving away from a competitor product? How much is the market growing? What revenue can be won without impacting competitor revenues? Based on the initial answers to these questions, a good pricing candidate should be able to develop a course of action to accomplish the pricing task. Pricing is an important lever to maximize revenue for the company. It is well understood as one of the 4P’s of marketing. However, a pricing expert views it as far more than a simple numerical value placed on a product. Used strategically, pricing can be an effective lever to achieve a company’s strategic goals from market share dominance to building customer loyalty. Penetration pricing can be used to aggressively gain market share where network effects exist. Product bundle pricing can be used to boost sales. The candidate must also demonstrate the effects of pricing elasticity for each case. When price is set too high or too low, revenue is left on the table. If demand for a company’s product is elastic, increasing its price will reduce demand disproportionately, causing revenues to fall despite the price increase. If demand for its product is inelastic, decreasing its price will not increase demand significantly, causing a fall in revenues due to the price decrease. Understanding whether a product should be inelastic (necessities) or elastic (luxuries) and accurately gauging how consumers will respond to specific changes is the hallmark of a good pricing analyst. Q: A company operates a marketplace connecting buyers and sellers of sneakers, which are growing in demand. There is no clear market leader and several key players are vying for dominant market share. Sellers are charged a monthly fee plus commission for sales while buyers do not pay to use the marketplace. Strong network effects are clearly in place. How would developing the right pricing structure help the company become the dominant market player within the next two years? With such a clear mission outlined, the right candidate will seek to analyze the company’s past strategies to gain market share, how customers have responded to its offering and how pricing changes can help make that goal a reality. What market share must the company claim in order to achieve an effective critical mass of buyers and sellers? Does the company have the necessary balance sheet and cash flows to get to its market share goals? What pricing levels or incentives are necessary to achieve market share goals? How would this change affect the customer’s business case, in both the short and long-term? What impact will this have on the company’s cash flow? What is the price elasticity of demand? How will demand change with a 1% decrease in pricing? What other non-price factors affect demand? What is the company’s unit variable cost? How will this pricing change affect the company’s balance sheet, revenue and cash flows, short and long term? What will be the impact on margins and key financial ratios? What are the competitors’ balance sheet position and cash flows? Internally, how will this price change affect the sales process and sales compensation? How is this pricing structure change a win for each of the various stakeholders? By addressing these questions, a good pricing expert will be able to quantify the price elasticity of demand, and determine the pricing needed to achieve the company’s market share goals. They will also be able to understand what the company’s concerns are and what a “win” looks like for each of the different stakeholders. "Pricing is actually pretty simple...Customers will not pay literally a penny more than the true value of the product." Pricing is more than the price tag on a product. An innovative expert helps a company to not only innovate in product design, but also in product pricing. With some creativity, pricing can be used to achieve marketing goals such as building customer loyalty and increasing customer lifetime value. Creative product bundling can help increase sales while pricing a product bundle at a price lower than the sum of the individual product prices (Microsoft Office bundle). Pricing can also become the center of a company’s market positioning and messaging (Dollar Shave Club and its $1 razor blades). Q: Company B’s products face many competitors. Customer churn has been increasing - resulting in a less than desired customer lifetime value and ballooning acquisition costs. To maintain market share, annual expenses to replace lost customers are high and eating up profits. The company needs to find ways to build customer loyalty. You must develop a pricing program to reward and build customer loyalty, including some quick hits to stem the churn and a longer-term program to achieve customer retention goals. What are the customer churn rate and the average customer lifetime period? What is the customer lifetime value? What is the customer acquisition cost? What is the target ratio of customer lifetime value to customer acquisition cost? What is the gain in value of extending customer lifetime period by X months? How much should the company be willing to pay to extend customer lifetime period by X months? What are some effective ways to structure discounts and rewards aimed at customer retention? How to ensure these discounts and rewards are earned and not freely given away? What “soft” rewards (eg VIP recognition) should be added with monetary rewards to further enhance loyalty? Who are the high value customers? What do they value? Exclusive discounts and rewards? Expedited product delivery? Who are the high churn customers? What do they value? Free items? Option to exchange reward points for cash? Unlike certain other financial tasks, pricing analysis cannot be done without a thorough understanding of how customers react and what they seek. This can be very diverse and difficult to boil down into a pricing model, but an innovative expert will be able to provide a pricing structure that hits just the right notes with a customer base. Innovation is also key because behavioral economics can throw a spanner in the works of any careful model. A growing body of research shows how customers do not always respond to pricing in an economically “rational” way, meaning “pricing strategies should not only react to a predefined and quantified willingness to pay but should focus on actively enlarging price acceptance.” Having a candidate well-versed in the impact of behavioral economics on pricing is also a major asset to allow models to account for this. No candidate worth their salt will present their pricing structure as a final resolution. No matter how forward-thinking a model is, pricing is a continuous process or optimization based on existing costs, competitive behavior and customer needs. The publication of a price sheet actually marks the beginning, not the end, of that process. To see if it is having the desired impact, customer surveys, reviews on blogs and social media, comparison sites, will all have to be monitored more closely - in addition to tracking the financial impacts. The right candidate understands that pricing assumptions need to be tested very frequently and adjusted, as needed, in face of changing market conditions. While the Internet poses specific challenges for pricing, it also creates unique opportunities given the availability of massive amounts of data for granular optimization. Armed with massive data, e-commerce companies are now able to adjust pricing quickly in response to competitive price changes and customer responses. Examples include companies such as Clear Demand and Revionics, which offer technological solutions to help retailers with pricing optimization from promotions to markdowns. Further down the pricing technology spectrum, companies such as Uber and Grab track supply and demand in real time, adjusting prices dynamically to remove supply-demand gaps. When demand outstrips supply, prices are raised dynamically so as to increase supply to meet demand spikes, resulting in revenue gains. While this is more critical in certain industries than others, a pricing expert must be able to continuously track relevant demand and supply data, and ensure ongoing or dynamic pricing alterations, while deploying the right technological solutions to do so. Experience in implementing or making full of dynamic pricing technology is a particular plus at this stage. Q: A company offers a perishable product in a highly competitive space. Lately, it has been facing a high volume of unsold inventories as a result of aggressive competitive pricing. This has caused revenues and margins to fall. How do you build a pricing system that delivers maximum revenue, given the perishable nature of the product and a highly competitive marketplace? The candidate’s responses should seek to understand how well the company balances supply-demand gaps, what data points are being gathered and at what intervals, and how much this has already influenced the company’s pricing strategies. What is the price elasticity of demand for the product? What is the competition’s pricing strategy? How best to track sales volume changes against pricing changes by competitors? How best to track unsold inventory and time to perish? How best to pull together different data over time? What should an actionable dashboard look like? What pricing optimization software is the company using/considering using? How much do they cost? What are their data input requirements? How configurable are they? Should the company consider developing the pricing optimization application in-house or turning to a third-party? What are build and maintenance costs? How much of a real competitive advantage would be provided by such technology? A good pricing candidate will be able to address these question, and guide the company towards the best course of action in building a pricing infrastructure that is dynamic and optimizes pricing over time. Truly useful pricing insights are hard to come by, as they are so intimately tied to a company’s current reality, to customer expectations and, to conclusions from past trial-and-error. The right pricing analyst eliminates much of this uncertainty, allowing a board of directors or executive management team to be confident about the positive impact of a new pricing strategy. This guide should help you get well on your way to finding them.